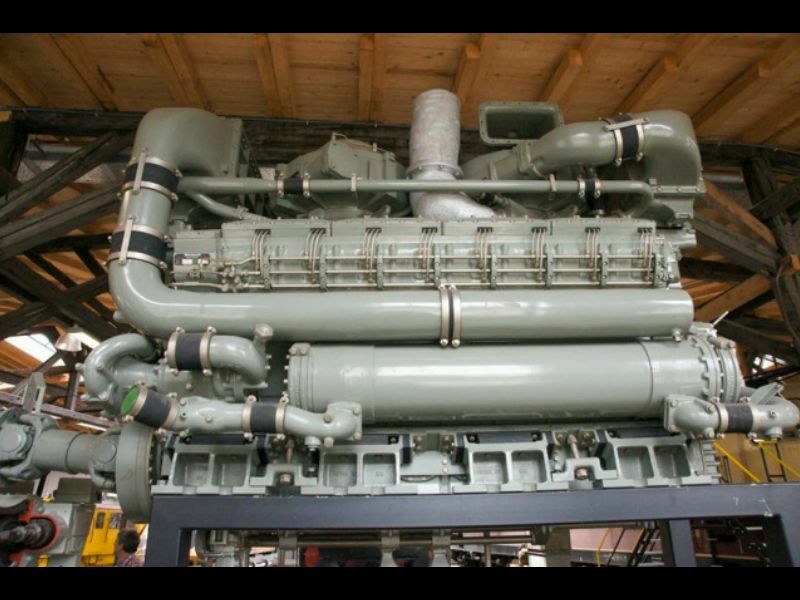 Questions about SP 9010's twin Maybach Mercedes-Benz 2000HP V-16 motors get raised quite often, and it's our mission to delve on behalf of ML4000 fans everywhere. 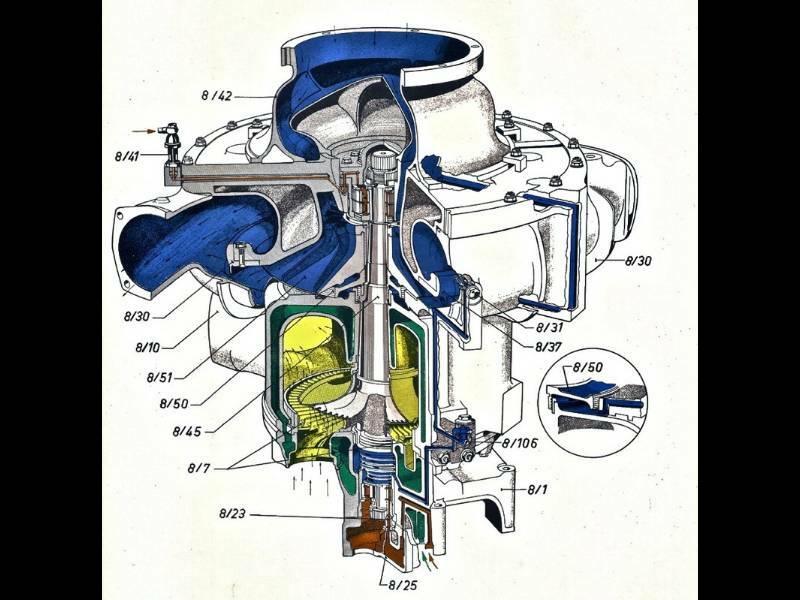 These motors, with a design legacy originating with Zeppelin airships, were a compact and sophisticated design, and are fascinating to study now. 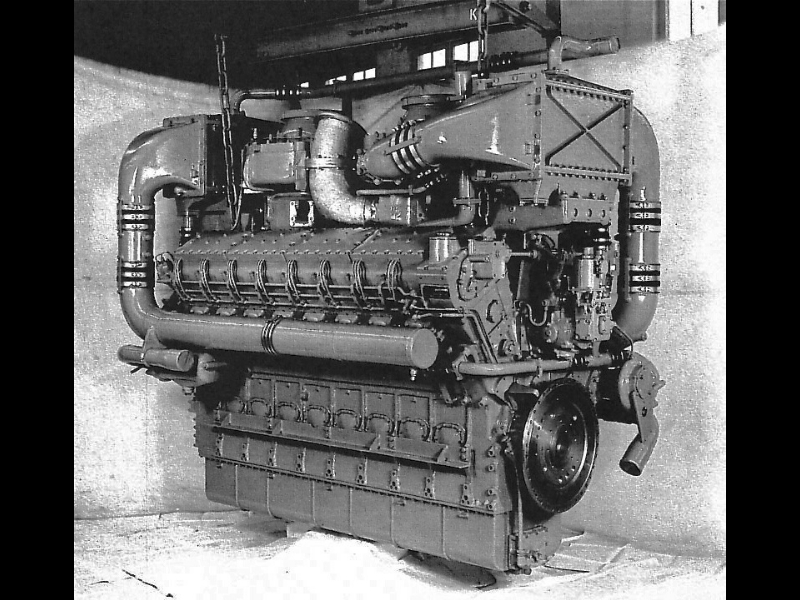 These quick-running, complex, maintenance-intensive prime movers are often 'credited' with being the largest factor in the downfall of the SP's German diesel-hydraulic program. But it's worthy to note that by 1968 their operation had been smoothed out by Maybach and SP modifications and upgrades, to the point that there were instances of 100% availability in a given month of operation. Regardless, they're a fascinating machine, and have some remarkable specifications. 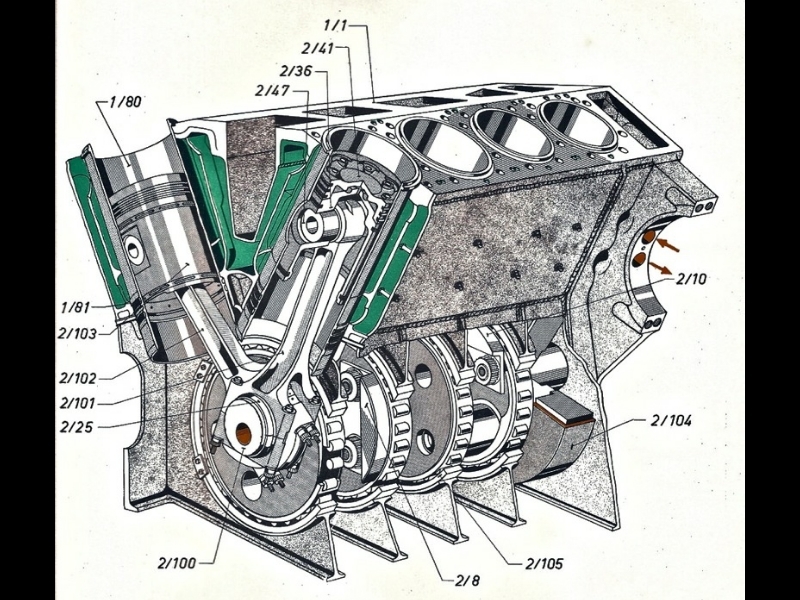 There are six valves per cylinder head: three intake and three exhaust. The exhaust valves are equipped with 'positive valve rotation'. According to Maybach, they differ from intake valves not only in shaft diameter, but have different spring seats and valve keepers. The valve keepers are not tight on the valve stem, thereby freeing the valve at each stroke for just a moment and allowing the spring to rotate the valve. 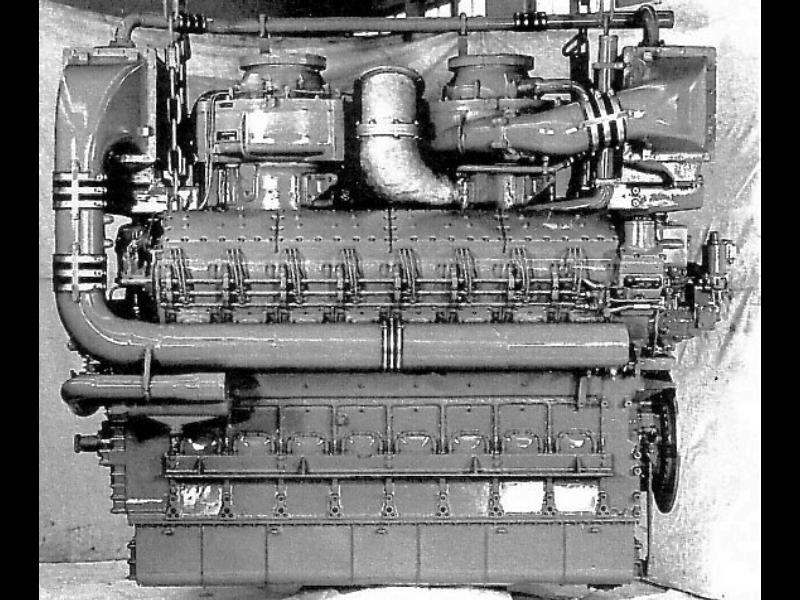 This feature was part of the MD870/1 motor fitted to the 1964 Series units on the SP, and addressed valve burning and hot-spotting issues. 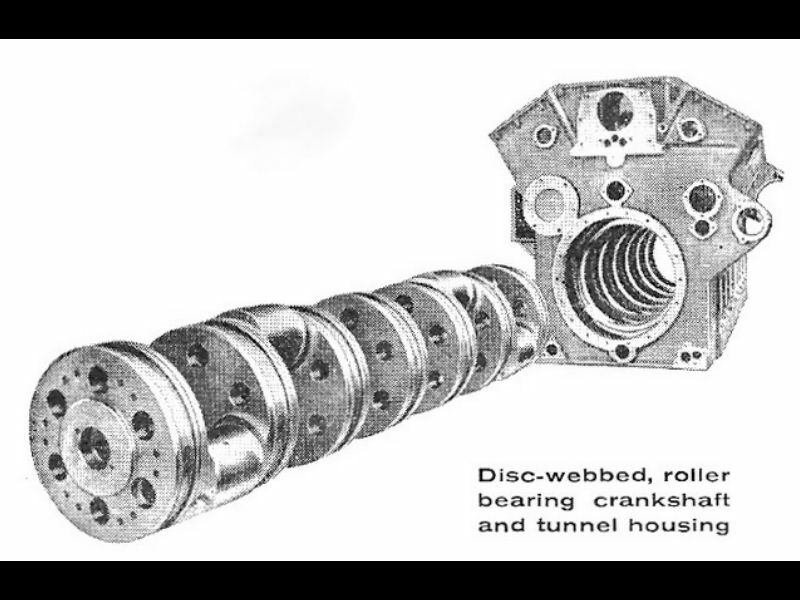 The crank was installed with the block on end. 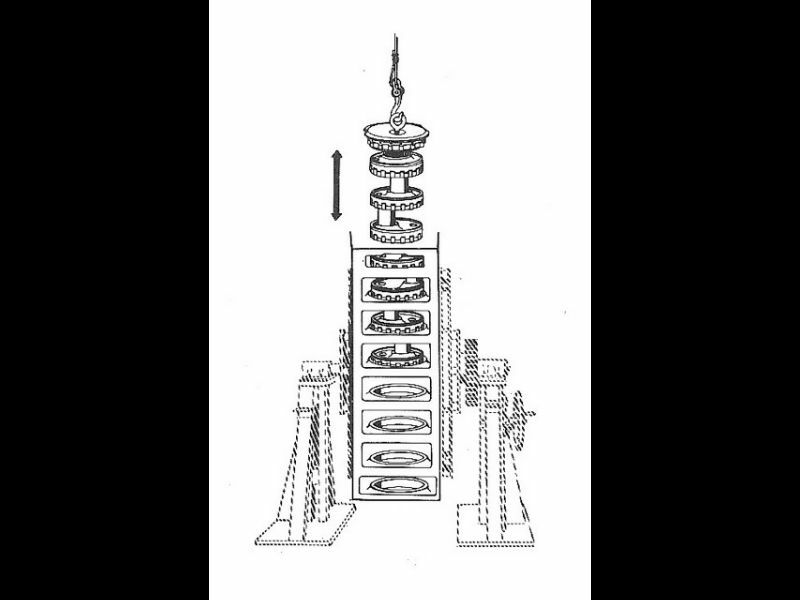 Fork and blade connecting rods attached to two-piece pistons, whose crowns and rings could be removed and replaced without removing pistons from cylinders. 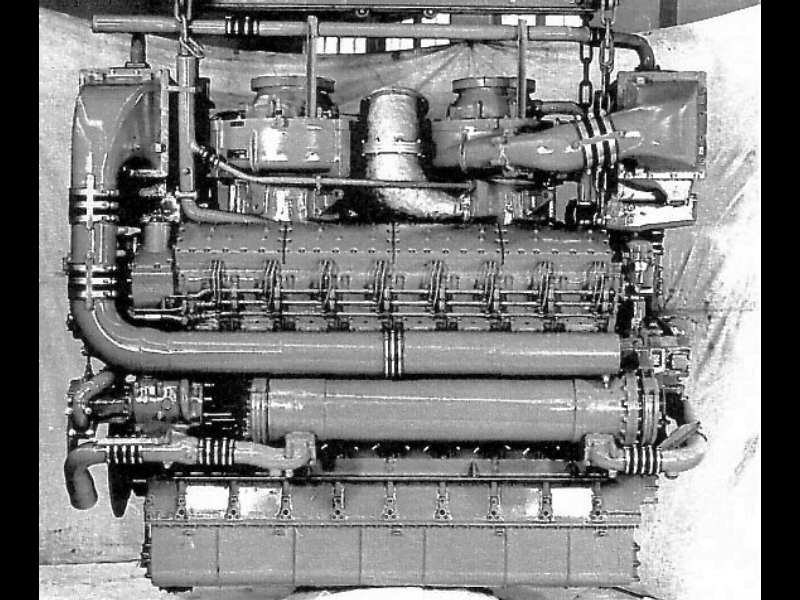 Each V-16 is equipped with two AGL83/1 exhaust gas turbochargers turning a maximum of 17,000 RPM with a charge air pressure of 14.5 psi. 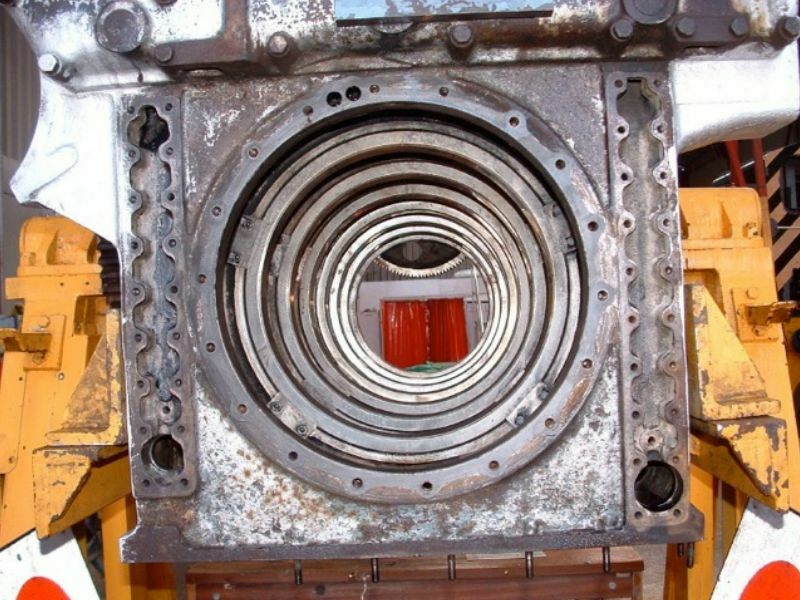 The units are mounted on a vertical axis between the cylinder banks, and the 1961 Prototype units experienced oil starvation of the upper bearing and coking of the lower bearing. 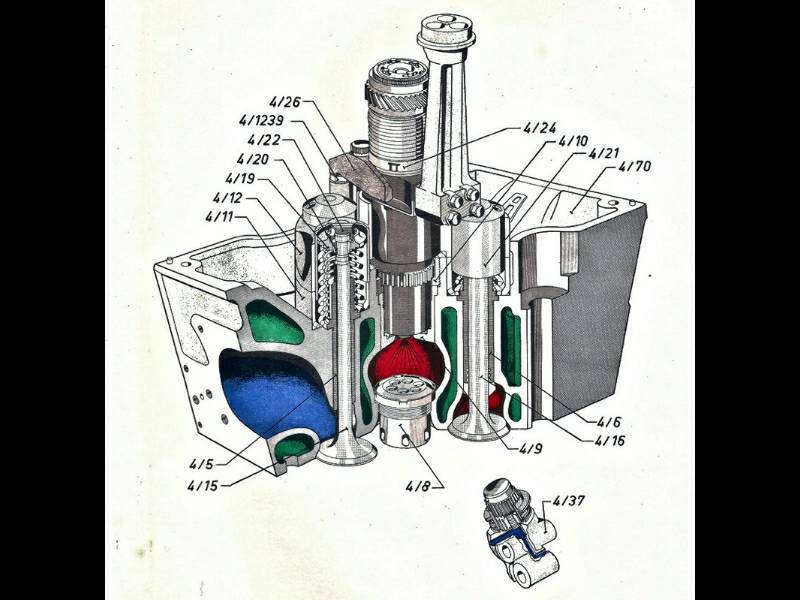 Lubrication delivery was modified on the Series motors, but these issues still arose from time to time. 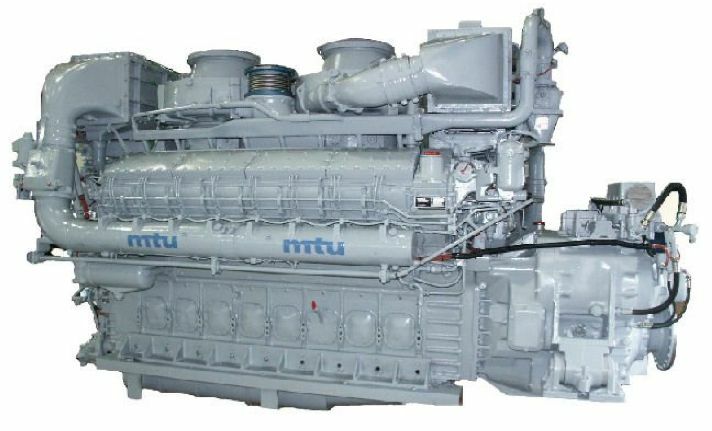 According to records, SP 9010 experienced at least six instances of turbo failure or exchange in four years. There were immediate problems when the 1961 Denver & Rio Grande ML4000 Prototypes attempted passage through the 6.2 mile long Moffat tunnel. 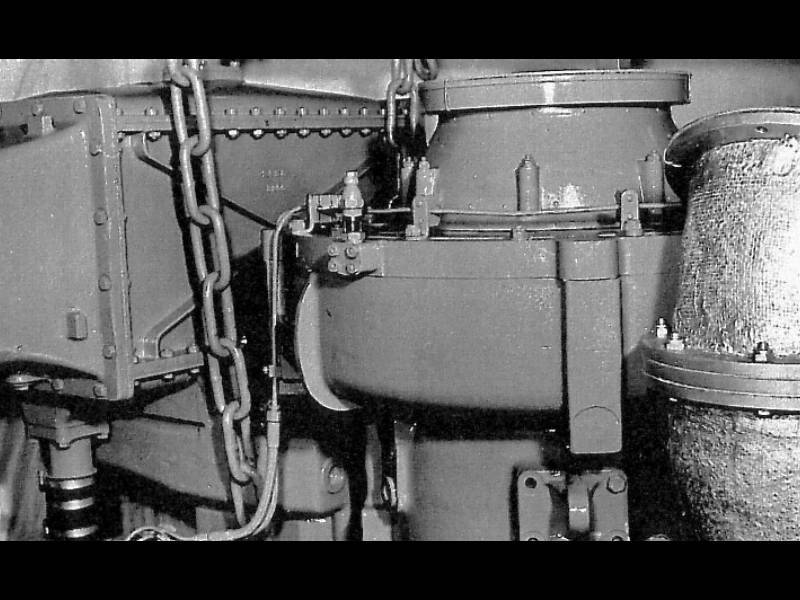 Despite carbody design which created a clearance behind the raised cab specifically to allow free breathing in tunnels - the intakes were simply too close to the exhaust, and trailing units were ingesting a high percentage of exhaust gases in such slow-speed tunnel ops. 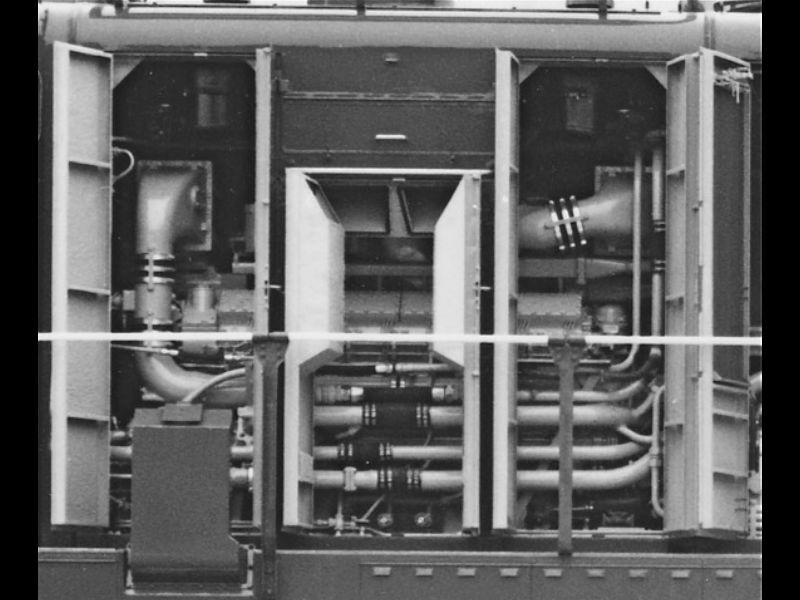 Ducting was modified on the Prototypes and on subsequent Series units. 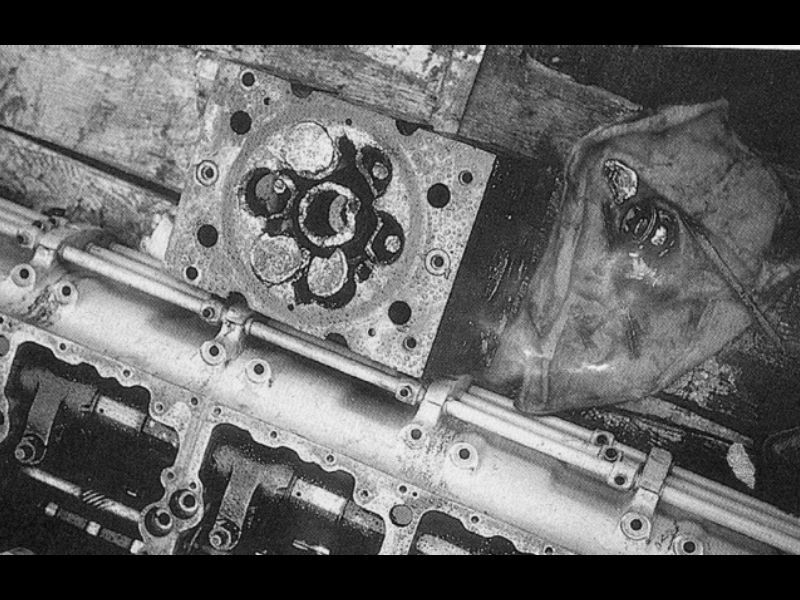 The photos show a damaged cylinder head with missing unit injector at center, and an external 'chimney' intake which ducted cooler air from closer to the ground - a modification made to all six Prototypes (Rio Grande and SP) and carried over to the original design of SP 9010 and siblings. 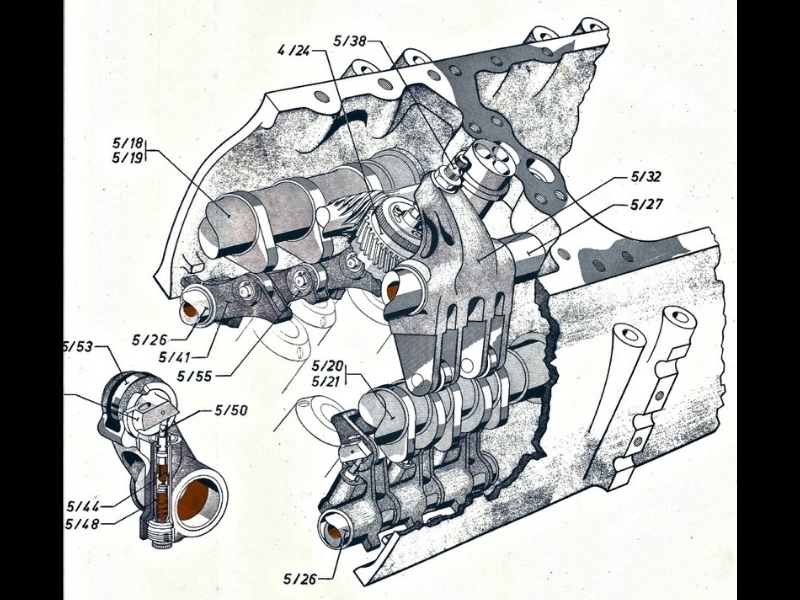 Valve action was aided by hydraulic tappets under the rocker arms. 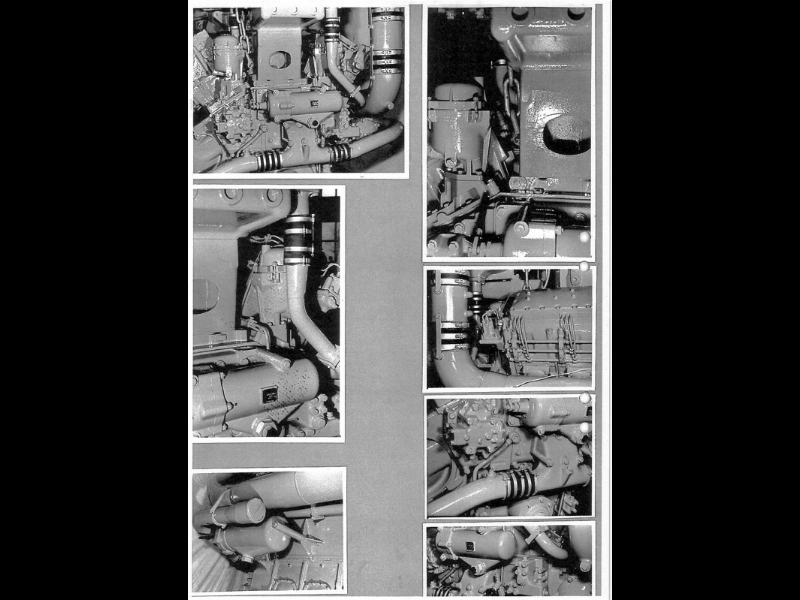 Roller crank, oil-cooled pistons, six valves per cylinder, twin turbos, charge air intercooling, prechamber combustion, DOHC. 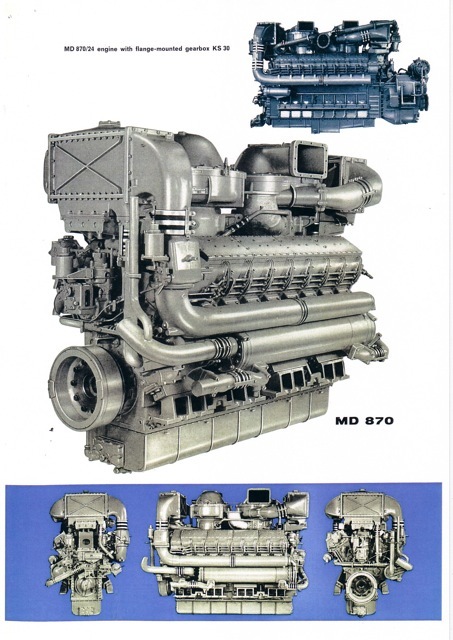 Was this a railroad diesel motor, or an exotic sports car mill? If you hid the displacement figures, the tech description could be describing a European exoticar... even today. 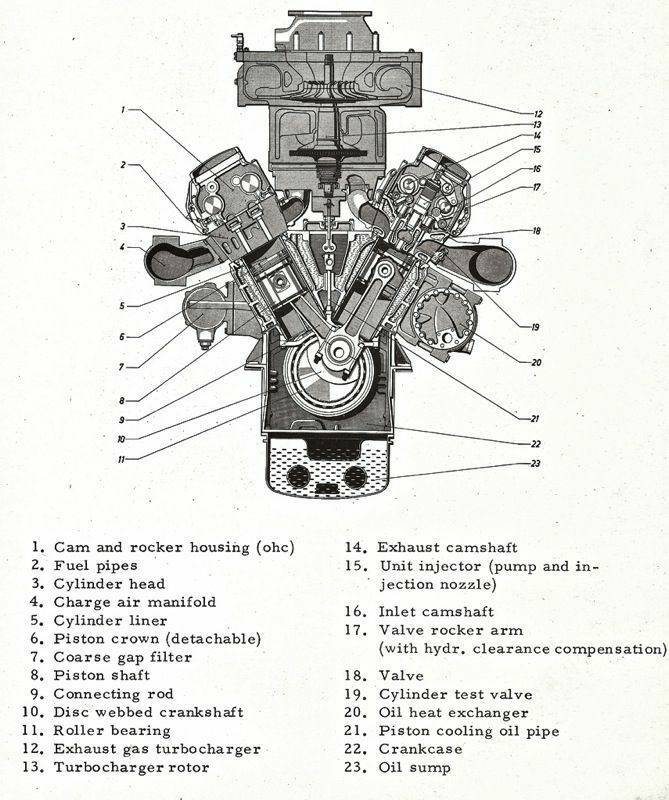 One of the most significant issues in maintenance was the cylinder head and piston configuration. 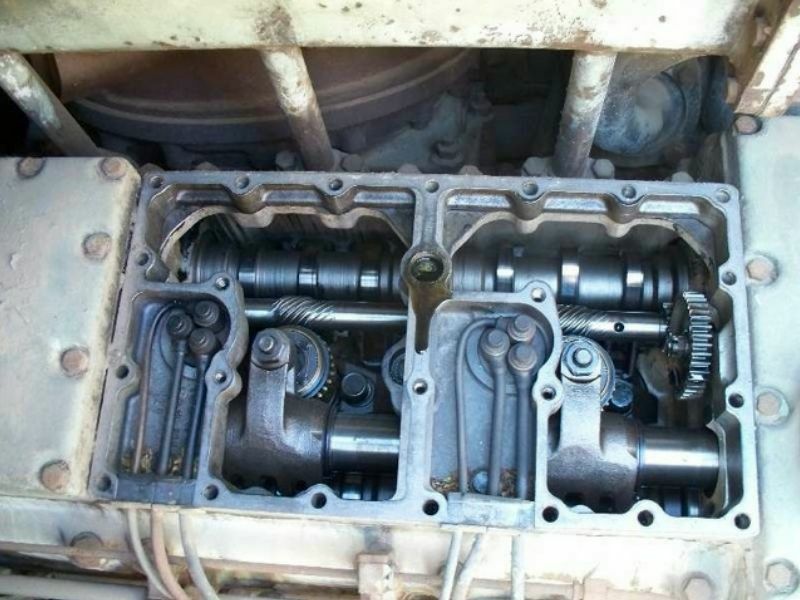 Even though there are individual cylinder heads and removable steel piston crowns, designed for the removal and replacement of failed single parts, the dual camshaft banks are in one piece over each cylinder bank, and must be removed before cylinder heads or pistons and liners can be serviced. 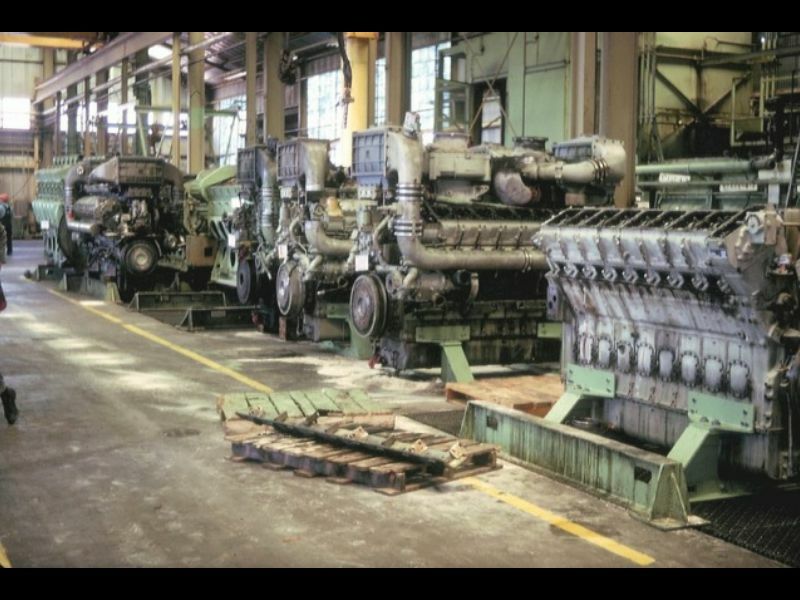 One shop technician could remove and replace a domestic EMD power assembly (a single cylinder, in essence) in a few hours; the Maybachs required more personnel, much more time, and many more fixtures and special tools. It was an unflattering comparison on the SP shop floor that the Maybachs, for all their sophisticated design, could not overcome. It's interesting to note that firsthand reports from former Krauss-Maffei personnel suggest that Maybach was lobbying the SP to create a dedicated Maybach rebuilding plant somewhere in Oakland. SP's response is unrecorded or unavailable at present. And for our friends in Europe who want to see a beautifully-presented MD870: The "Lokwelt Freilassing" exhibits the power train of a V160 prototype, featuring the MD870/1B motor, which is the "Bundesbahn" version (that's what the 'B' stands for) of the very same motor employed in the ML4000 C'C' for the DRG&W, SP and CVRD. 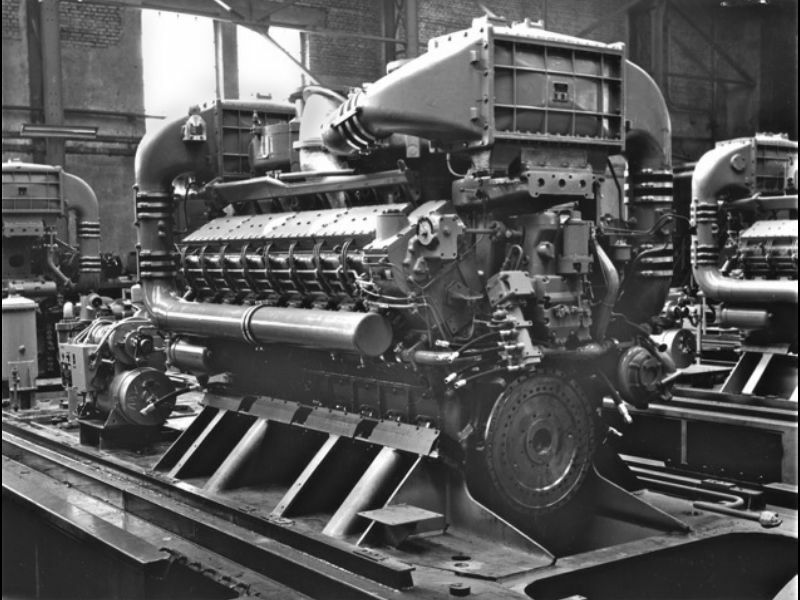 MD-Series V-12 and V-16 motors were produced under license in Great Britain and used in diesel-hydraulic railway locomotives. 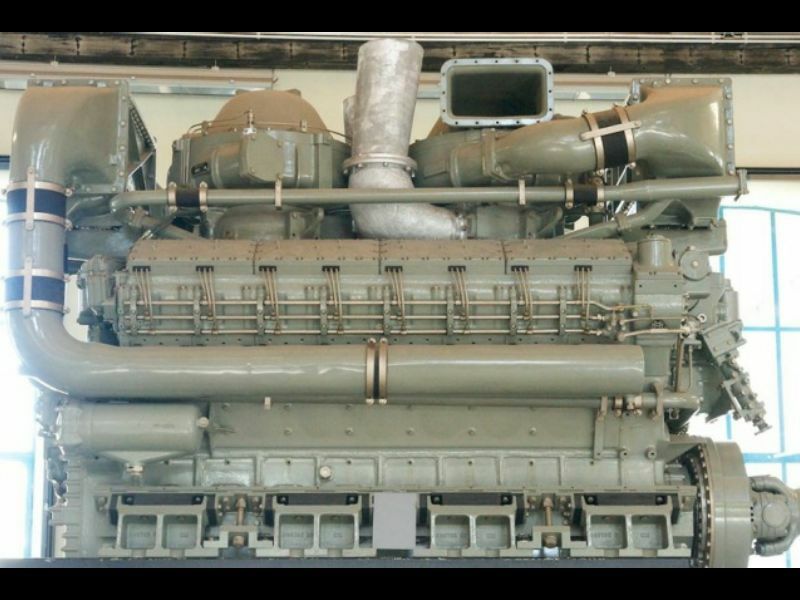 (See "Cousins") They have also powered a diverse assortment of merchant and military marine vessels, including this German Lindau-Class minesweeper of the 1958-60 era, powered when built by twin V-16 MD871 Maybachs rated at 2000HP. The notion that the MD Series was unsuited to constant high-speed operation is incorrect; they were specifically designed, developed, and rated for such high-RPM, high-stress duty. What caused failures on the SP were a constellation of factors including inconsistent operational envelopes, experimental maintenance shortcuts, and component failures by subcontractor companies. 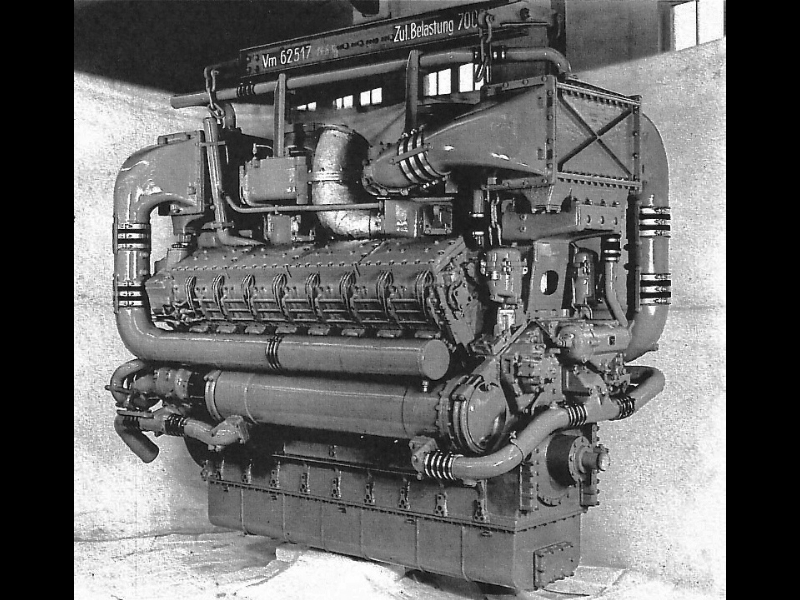 They did fail, but the basic engine design was neither weak, nor unsuited to high output, and over time, their reliability ratios improved. 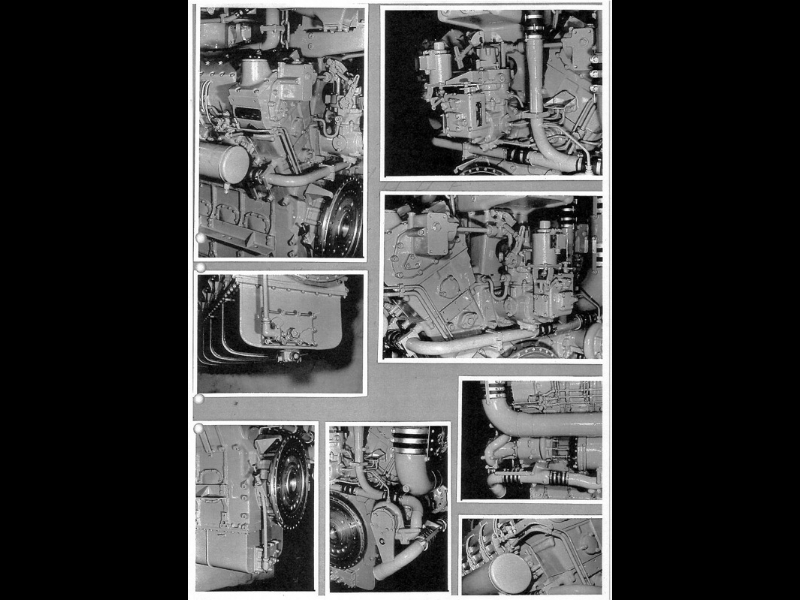 One contemporary observer states that the marketing department of Mercedes-Benz was a key persuasive factor in the equipping of the USA units with their MD-Series diesels; M-A-N and Sulzer would typically have been considered for prime mover suppliers to KM as well. 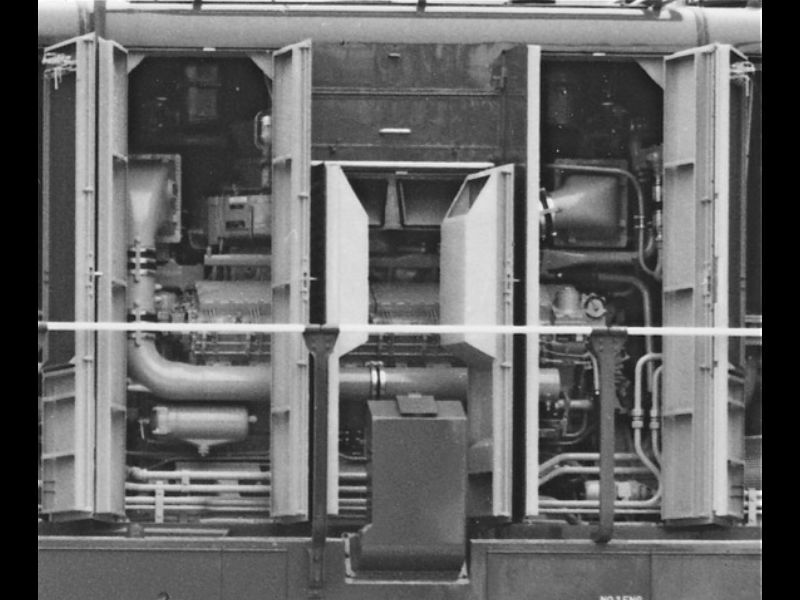 How interesting it might have been to see the KM Series units like SP 9010 to instead be powered by a single Sulzer V-16, as was installed some years later in SP's remanufactured Morrison-Knudsen GE U25B quartet (the orange and red TE70-4S "Popsicles"). 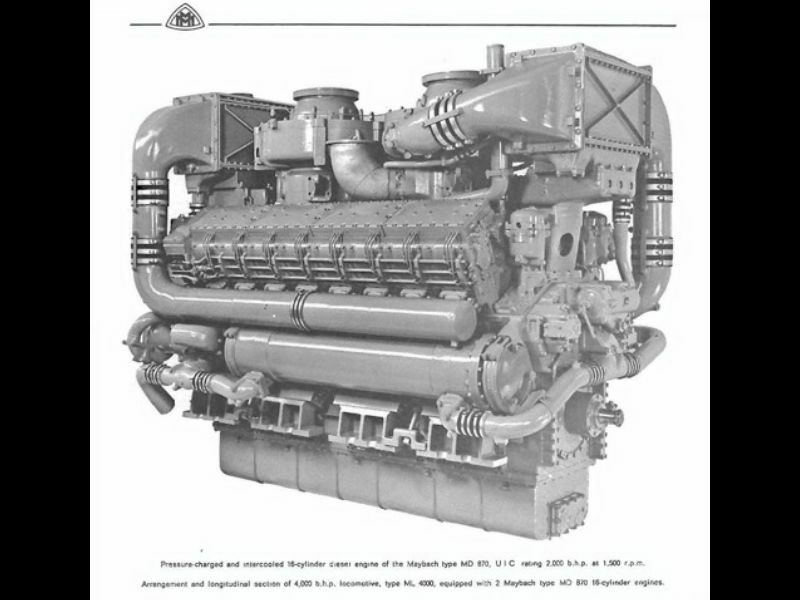 Considering the ultimate failure of those M-K Sulzer units in SP service, the outcome with Sulzer-powered KMs might not have been all that different than it was with the twin Maybachs. 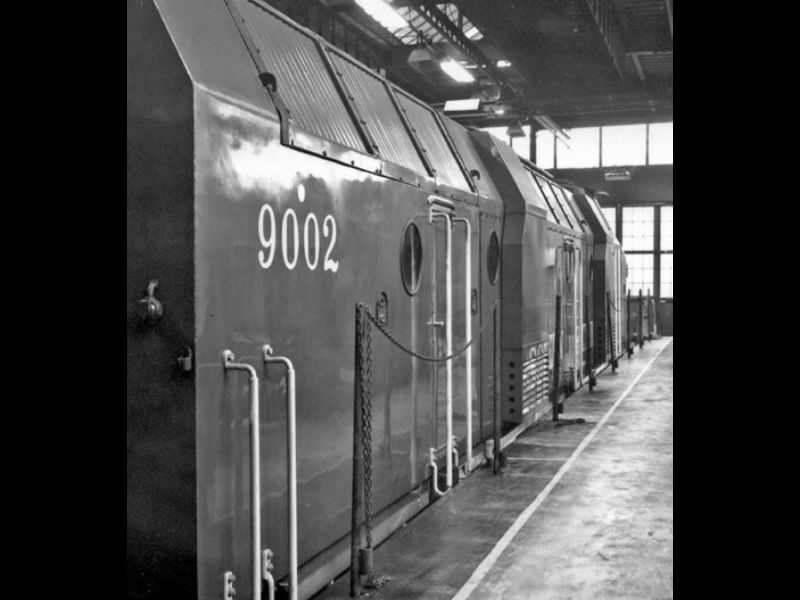 Check out the SP 9010 'Restoration Progress' pages for updates on the condition and ongoing rehabilitation of these fascinating motors! 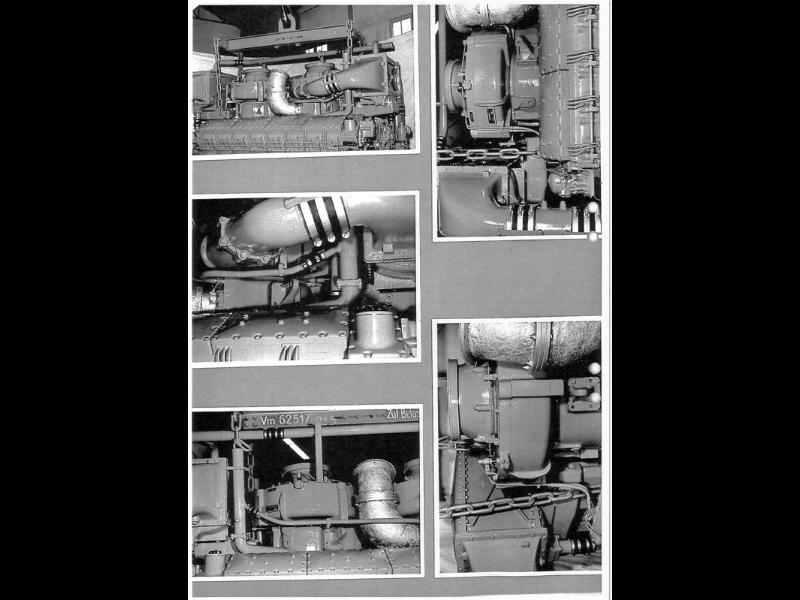 Special thanks go to our friend Manfred Duerr, a retired turbocharger engineer and specialist who worked on the USA ML4000 program, and to his friends at Tognum A.G. for generously sharing their files with us.